The IDB has doubled the size of its Climate and Clean Energy Facility for innovative climate change projects to $100 million, due to client demand and interest from international climate funds. Through the Facility, the IDB offers loans from $500,000 to $10 million to private companies for energy efficiency and self-supply renewable energy, as well as water and other adaptation investments. The Facility provides comprehensive support for clean energy and adaptation, by identifying potential projects through investment-grade feasibility studies and then providing the capital needed for their implementation. The Facility is supported by $30 million from a combination of international climate funds –the Clean Technology Fund (CTF), the Nordic Development Fund (NDF), and the Scaling-Up Renewable Energy Program (SREP). These resources are utilized to extend concessional terms to the borrowers and mitigate risk by providing partial guarantees, which can increase credit ratings, extend tenors and lower collateral requirements. In addition, the NDF, CTF, and SREP have contributed over $8 million to offer technical assistance grants for project identification, feasibility studies, engineering and capacity building. The funds can also be employed to reduce transaction costs that can make small loans unviable. “This Facility is playing an important role in mainstreaming climate investments by developing innovative and scalable pilot projects. 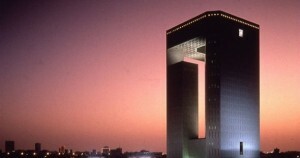 The IDB has a specialized team dedicated to financing energy efficiency and distributed generation under energy service companies, rooftop solar power purchase agreements and other emerging business models,” said Kelle Bevine, Strategy Management Unit Chief in the Bank’s Structured and Corporate Finance Department. The Facility has financed two of the largest rooftop solar projects in Latin America in Honduras, and has several other innovative solar, biomass, and lighting projects in due diligence. ©Effergy Energía. All rights reserved.